00:03 Hey guys. So, today I want to talk to you about digital display advertising. Specifically what we call around here banner ads, right? These are the things that you see as you're browsing the web. They're typically on the right rail of the website, little squares that you see animated. They can run up to 15, 20 seconds, and they get their message across, so you may have seen this as a business and wonder, "How can I do it for myself?" They seem to be appealing, they catch my eye every time, and that's what they're for, mainly for awareness, although you obviously want people to click through. As a business, we want to give you some insight on what we do for our clients to make sure that our banner ads are best performing, so here's some tips that we use as we're making sure that we're building these ads. 00:43 Number one is to make sure that your design is breakthrough. Once you submit these ads to, say, Google Ads, Google AdWords AKA. Google AdWords, you don't know where they're going to end up, right? You know they're going to end up somewhere that Google targeted to fit your audience, so you know it's going to be shown to a proper audience, but you don't know what the background of the site is going to look like. You don't know if it's going to be around a lot of information. You don't know if it's going to be, what color is that background? You need to make sure that it breaks through in one way or another, whether it be the colors, the animation, things like that, you want to make sure that it really stands out, so it has that breakthrough appeal and can break through that content for people to notice it. Also, make sure that you're using your brand colors and simple design things to make sure that your alignment, your spacing, all that is prevalent. Besides the actual specs of the banner, you want to make sure that you're following that because that is an introduction to your brand, right? You don't want to come across sloppy, so just make sure that it's all buttoned up at the end of the day. 01:41 Do remember you have 15 seconds to get this out, and that's what we would advise. Don't try to fit too much messages within that 15 seconds. Focus on one benefit. I know to some point we all want to say everything we're great at, but let's focus on one key thing, because that makes it easier to tell the story about it, so we want to tell a story within those 15 seconds. Typically, somebody can only comprehend maybe three to five words a second, so be careful how much things you actually want to give them, right? While you're telling a story, you're focusing on one thing. You want to make sure that you always have a button present so people know where to click. Not that they wouldn't know because everything's clickable these days, but something about just having the button present makes people just inherently go to click that. It's another opportunity to put a message for what you want them to do, actually want you wanted them to take. Click to learn more, click to get offer, whatever it is that you want to tell them what that click is for. 02:34 So those are just some things to keep in mind. Seems fairly simple and fairly elementary as what you would like to follow, but trust me, we've seen some ads and we're just not sure why people are not doing these things. Trust me, if you implement them, I'm sure you'll get a great return from it. 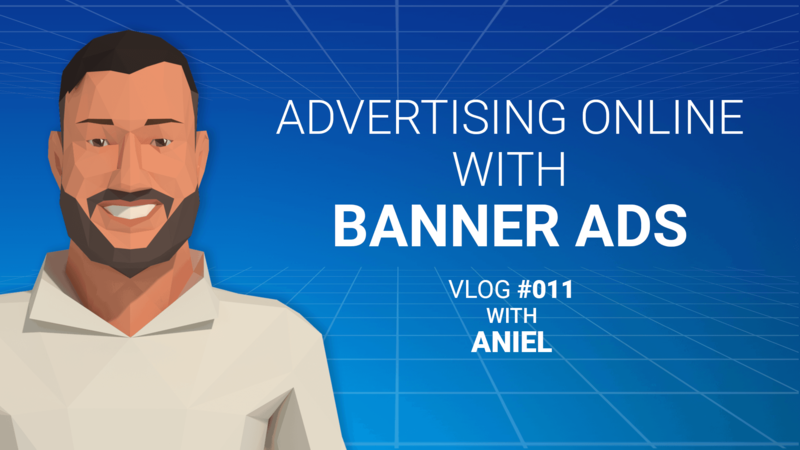 We have some more details about banner ads in general on the blog, so you can check an article for that. I think it was just released a week ago, so check that out. Also, let us know how it worked out for you. Leave comments, questions, anything you have, or if you want to get into this, you want some more information we could definitely give you that. Subscribe, follow us, and until next time. I'll check you guys out later.